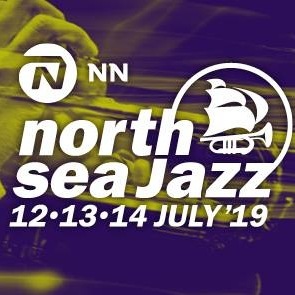 Earlier today, the first 35 acts for this year’s North Sea Jazz Festival have been announced. We’re planning on visiting Rotterdam again for the weekend of July 12th to 14th. Confirmed are superstars such as Diana Krall, Bobby McFerrin, Jamie Cullum, and Burt Bacharach. Also on the agenda, man of the moment Kamasi Washington, Joshua Redman with his Still Dreaming group, Christian Sands Trio, Chris Potter Quintet whose latest album on Edition will be out in February and reviewed here later, and John Zorn’s Bagatelles Marathon. For the non-jazz aficionado, this jazz fest like so many others has also a lot to offer and rightly so I think. I can already hear all the uber conservative, narrow-minded so-called traditionalists cringing when they see names such as Jonathan Jeremiah, Toto, ZAZ, The Internet, Marc Broussard, or Rag’N’Bone Man on the list too. And even though I’m not a big fan of those acts as well, the spirit and vibe of this festival and many others is still the fact that people are able to discover a lot of jazz or jazz-related acts they wouldn’t have checked out elsewhere. Rounding out the first artists are Bob Reynolds Group, Chucho Valdés, Masego, Michel Camilo Quartet & New Cool Collective Horns, The War And Treaty, MY BABY, Orquesta Akokán, Ms. Lauryn Hill (is there really anyone out there who still wants to see her? ), Ambrose Akinmusire Origami Harvest, Bobo Stenson Trio, Jacob Banks, Janelle Monáe, Joe Jackson, Lawrence, Abdullah Ibrahim & Ekaya, Shai Maestro, Young Gun Silver Fox, Chance The Rapper, and H.E.R. The full programme will be announced at the end of April.